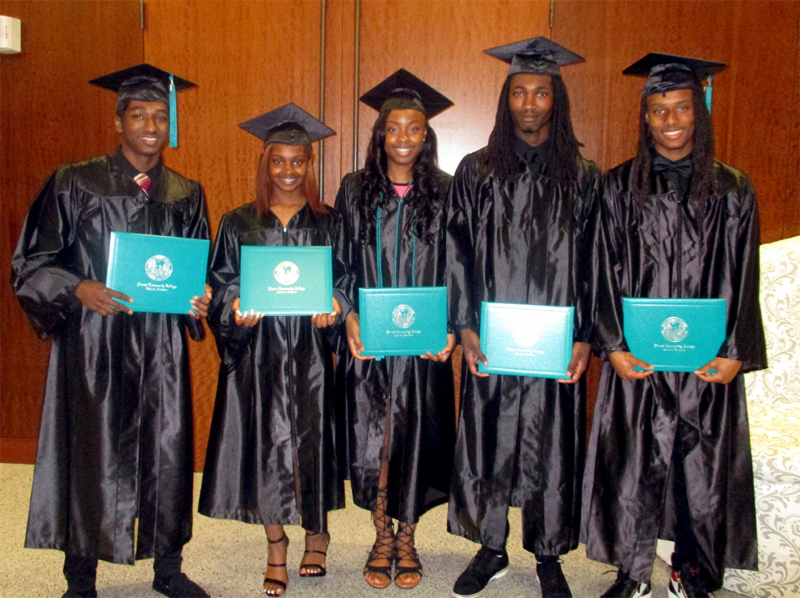 NEW ORLEANS, LA – Last week, Urban League Project Ready, the signature college and career readiness program of the National Urban League, celebrated the graduation of eight L.B. Landry- O.P. 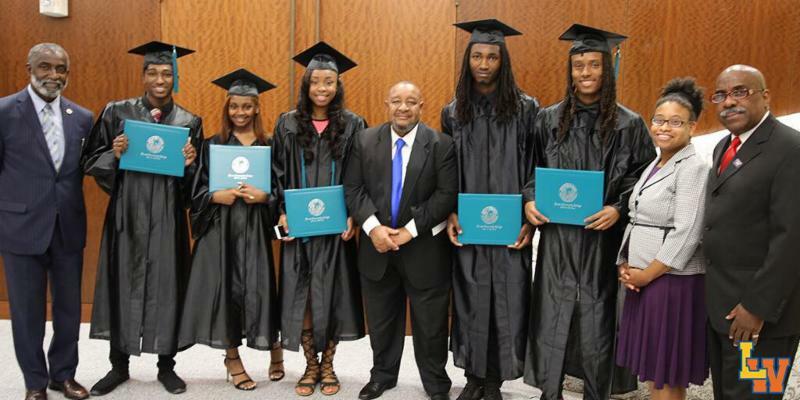 Walker College and Career Preparatory High School (Landry Walker HS) students who earned their high school diplomas and college credentials in the same week. Two of the graduates earned Associate of Applied Science degrees in Industrial Technology, while six others completed the Certificate of Technical Studies in either Welding or Electrical Construction. These youth participated in the dual enrollment option offered through the Project Ready program that aims to prepare students with education and industry recognized credentials that make students competitive for lucrative careers or college success. Jomyra Mathis, 18, of New Orleans, began her journey with Project Ready as a junior, unsure of her postsecondary plans. “I decided to participate in Project Ready because it felt like it was something that I wouldn’t normally do, but I wanted to take a chance and step out. When we first started talking about our options for future careers, they showed us the equipment (used in Industrial Technology). I said to myself ‘this is something that I want to do.’ As my time in the program continued, the benefits were amazing. I met a lot of new people and made so many connections. You meet so many people in this program and every one of them leads you in the direction of a successful life,” said Mathis. 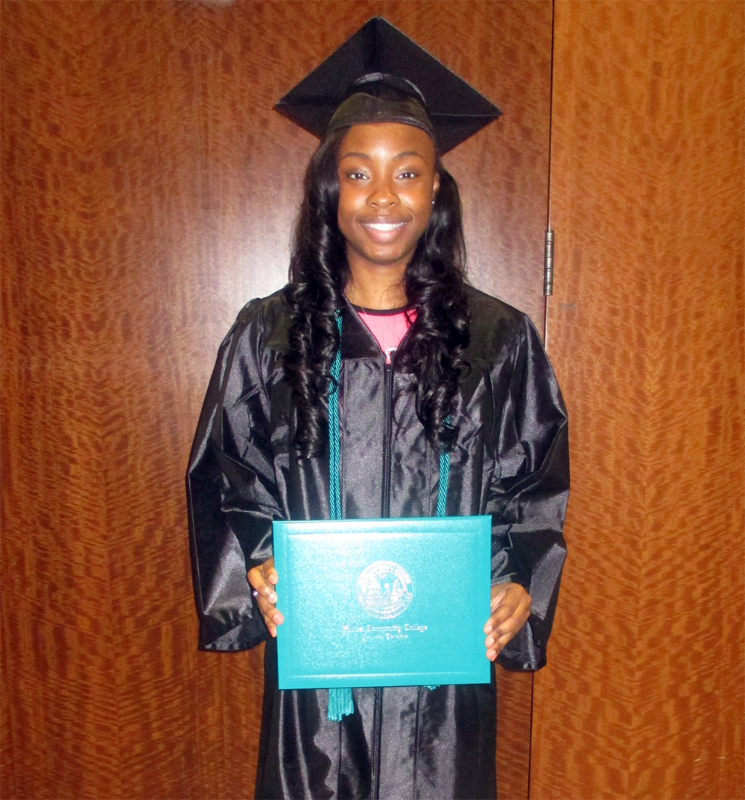 Mathis graduated with highest honors from Nunez Community College with an Associate of Applied Science in Industrial Technology just two weeks after earning her high school diploma from Landry Walker High School. She will continue her studies at the University of Louisiana at Lafayette majoring in Petroleum Engineering. Mathis is breaking barriers in the energy sector of which women make up only 17% ( http://www.catalyst.org/knowledge/women-energy) of total employment and African Americans make up 8% (http://www.catalyst.org/knowledge/women-energy). Bryan McMillian, graduate of Landry Walker High School and Nunez Community College. 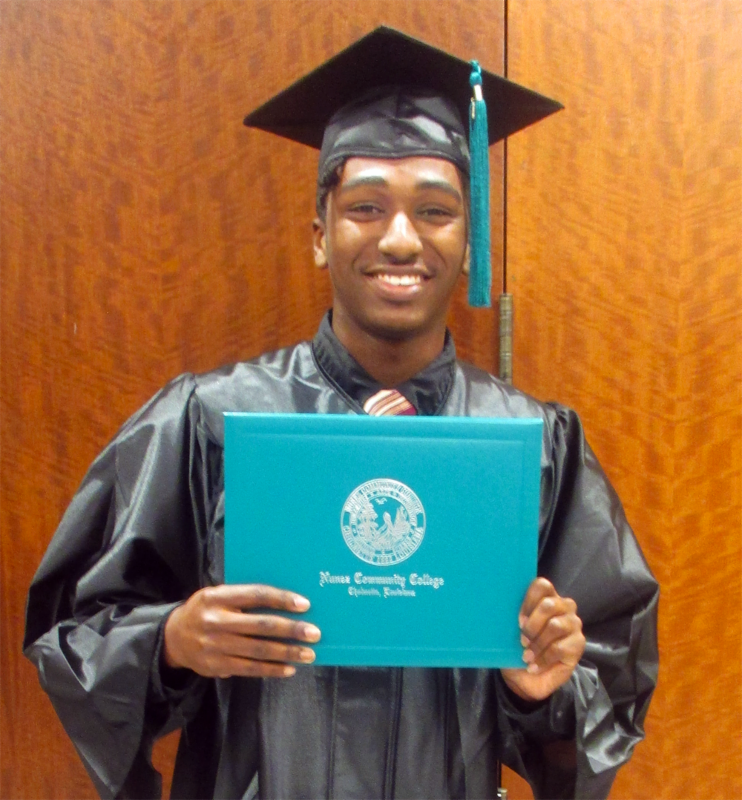 Bryan McMillian, 18, of New Orleans, who earned his Certificate of Technical Studies in Electrical Construction from Nunez Community College, talks about his ambitions after graduation. “I thought about being an archaeologist for years, but the program helped me to find my passion and interests in electrical engineering. I’m very into technology and into advancing how we use it. I want to be a part of how it grows in the future.” McMillian will be pursuing this endeavor when he attends Prairie View A&M University in the fall to study electrical engineering. After college, he plans to work for a technology company and then some day branch off and create his own company. In addition to the dual enrollment opportunities, Project Ready students also participate in college tours, “Behind the Business” tours, guest speaker presentations, STEM activities, gender-based and career-specific mentoring, and receive college and career advising, and life-skills training. All of these supports are offered at no cost to the students due to the generous support of Chevron, Shell, United Way of Southeast Louisiana, National Urban League and AT&T, with the after school component funded by the Louisiana Department of Education through 21st Century Community Learning Centers. “I would most definitely encourage others to do Project Ready, because it actually helps you find exactly where you fit in the job world instead of waiting until you get out of school to try and figure out what you want to do with the rest of your life,” offered Mathis. Urban League Project Ready is offered to students in grades 9-12 at Landry Walker High School. Families interested in the Project Ready program or wanting more information should contact Project Ready Director Evelyn Jackson at the Urban League of Louisiana at 504.620.2332, or ejackson@urbanleaguela.org.